Join us at The Hall at Senate’s End on Saturday, May 4th as we celebrate the 145th Kentucky Derby race at the 5th annual Welvista Stakes. This event raises funds to provide access to free lifesaving prescription medications and pediatric dental services to vulnerable and uninsured South Carolinians. Come and enjoy live music, fine southern cuisine and cocktails by Dupre Catering, raffles and a live and silent auction while watching the thrilling Kentucky Derby race live. 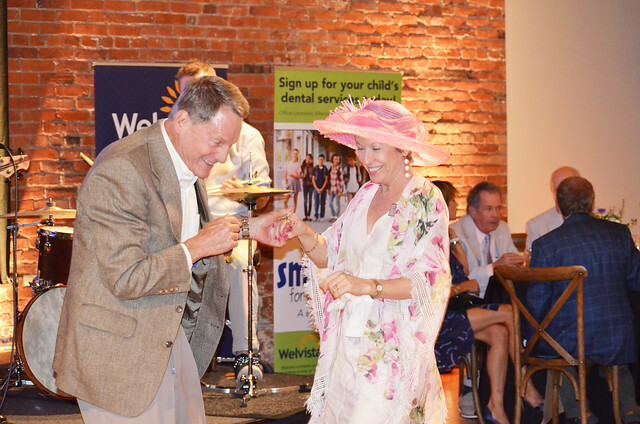 Last year, the 4th annual Welvista Stakes raised over $190,000 to support our passion to improve health and wellness throughout South Carolina. Gather your friends, bow ties and lovely hats and plan to join us for an exciting night and a Mint Julep…or 2! Thank you in advance for your support of Welvista and we look forward to celebrating with you!